Alcohol and pregnancy is a dangerous combination. If you have any amount of alcohol during pregnancy,let your doctor know. Many online advice veers towards controversial in this regard.Alcohol is treated as a teratogen by both pediatrician and obstetrician .This information was largely unavailable or ignored for the most of last century.This had a lot to do with government regulation changes and the confusion created by people who promoted moderate alcohol drinking. Just think would you give your newborn a glass of beer or any other alcoholic beverage?Your answer would be a shocked no. Your answer would be a shocked no. But if you are drinking when planning a baby ,or when you are already pregnant.That’s what you are doing. What happens when you drink ? When you drink,the alcohol absorbed from your stomach crosses the blood brain barrier.It will then reach your unborn baby. That’s the main problem.Your baby will taste everything you have. It will affect the heart ,the brain,the baby muscles,cartilages,everything. 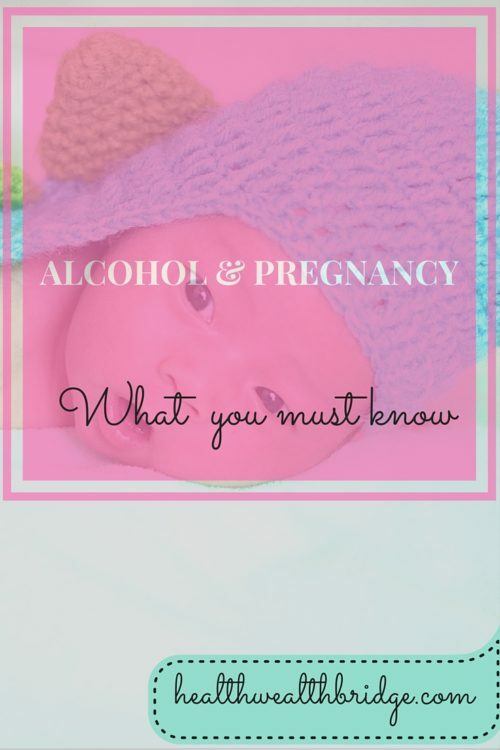 It is a collection of problems that your baby can have if you drink during your pregnancy. Is there a safe amount to drink ? The data for this is vague.What’s definite is the more you drink ,the worse is the damage. Do FAS effects go away? Unfortunately no.It just changes how it presents.Every time you don’t drink during pregnancy you are giving your unborn child a gift. So if you suspect FAS, how can you help? Monitoring and early intervention can help your child.The earlier your doctor knows the more help baby will get.This can prevent adult problems. Try to provide support at school.The child may need special education aides. Social support is also very important .This can go a long way in preventing depression and mental health issues. How can you prevent FAS? Don’t drink during pregnancy.Seriously ,prevention is best. If you used to drink stop now.The exact spectrum of problems will be a sum of how much ,when and how long you have been drinking.If you smoke or use any other substance then the effect can be fatal. You can join a de-addiction group. Small steps can go a long way in keeping your baby healthy.What is your opinion about this.Comment below to let me know. Disclaimer: This information should not be used as a substitute for the medical care and advice of your physician. This is meant to help and spread awareness.There may be variations in treatment that your physician may recommend based on individual facts and circumstances. 1)Moderate alcohol drinking in pregnancy increases risk for children’s persistent conduct problems: causal effects in a Mendelian randomisation study. 2)Prenatal alcohol exposure and childhood behavior at age 6 to 7 years: dose-response effect. 3)Fetal alcohol syndrome. How you can help prevent it. 6)A Review of the History of Attitudes Toward Drinking in Pregnancy. When you drink, the alcohol quickly travels through your bloodstream, crosses the placenta, and reaches your baby. Your baby breaks down alcohol more slowly than you do, so she may end up with a higher level of blood alcohol. Drinking endangers your growing baby in a number of ways: It increases the risk of miscarriage and stillbirth. As little as one drink a day can raise the odds of miscarrying or having a baby with a low birth weight, and raise your child’s risk of problems with learning, speech, attention span, language, and hyperactivity. The most important thing to focus on is staying as healthy and avoiding alcohol for the rest of pregnancy is one of the best things one can do for your baby. I hope pregnant women reads this and understand the side-effects of drinking alcohol when pregnant. It is not a myth! Yes definitely not a myth.It’s sad that even educated people have such misconceptions.